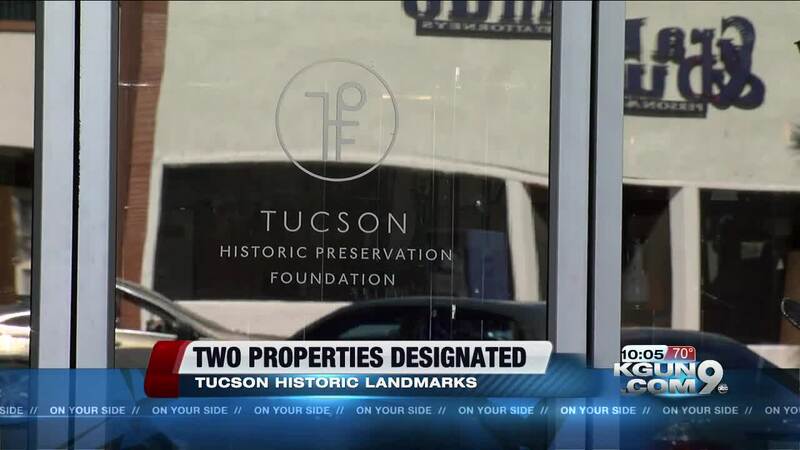 Two landmarks are now historically designated to the city of Tucson. Hirsh's Shoes on Broadway and the Williamson House on Palomar were unanimously voted in by the mayor and city council. When a building is designated, its historic appearance must be maintained. No matter how old these buildings get, they cannot be changed or teared down unless there is an approval from the mayor and council. "The Tucson Historical Preservation Foundation applied for the Stanley Williamson House and for Hirsh's Shoes to be listed as a local city landmark to help protect it in perpetuity for our community," said Demion Clinco, the president of the Tucson Historic Preservation Foundation. Built in 19-54, Hirsh's Shoes was designed as a free-standing storefront. Then in 2016, the Hirsh family announced it was closing the store, but the Tucson Historic Preservation Foundation purchased the building to save it from future developmental plans. "And this building, which is an iconic example of mid-century modern storefront design, it really reflects our community during that post-WWII era," said Clinco. Stanley Williamson was a San Clemente developer, who built thw Williamson House in 1931. It served as his own home, and also set the tone for how other homes would be designed in the area. "And it really was the prototypical example with which that and other subdivisions all over Tucson were built during the era. it's a beautiful example of Spanish Revival design and its been beautifully and carefully restored by the owners," said Clinco. Today Hirsh's Shoes is home to a furniture business, and the Williamson's House is used as a home, by the owners who have restored it over the past two years.